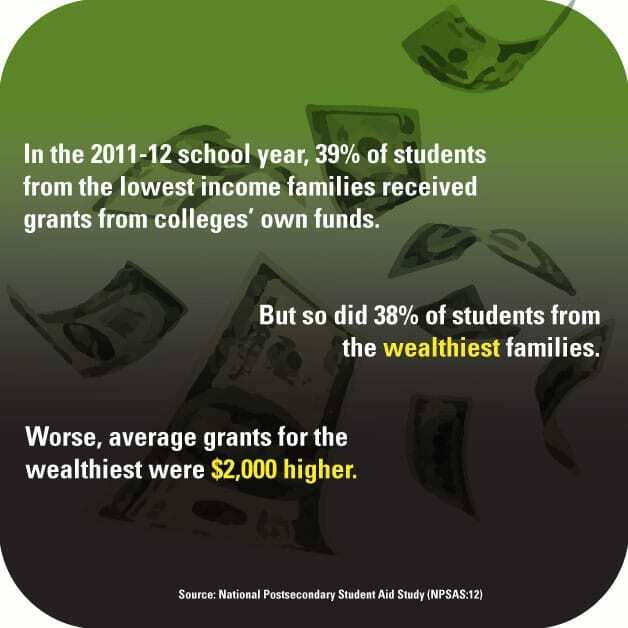 In the 2011-12 school year, 39% of students from the lowest income families received grants from colleges’ own funds. But so did 38% of students from the wealthiest families. Worse, average grants for the wealthiest were $2,000 higher.